There are many types of vehicle maintenance, one of which is wheel alignment. Wheel alignment is even considered to be very essential for all kinds of automobiles. It basically refers to the angle adjustment of the wheels to prolong tread life and maintain safety on the road. Since you are most likely to drive your car every day for work, errands or leisure, how often should you get a wheel alignment? Why Should You Get a Wheel Alignment? Let’s learn about the simplest one first. 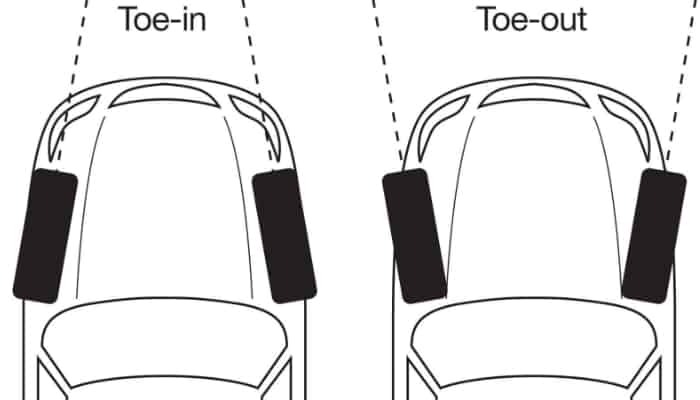 The toe angle becomes possible when the tires point inward or outward. It looks more obvious when seen from above. Its purpose is to prevent irregular tread wear, hence extending the life of your tires. To be more specific, positive toe happens when the front sections of two tires face one another. Because of this angle, the wheels continue to generate force against each other. That is best for straight driving, especially when you always pass a highway. However, it also leads to difficulty in making a smooth turn. On the other hand, the negative toe is usually angled for front-wheel drive automobiles. It helps your vehicle move smoothly while turning. The drawback, however, is obviously driving in a straight line. More complex than the toe angle, caster follows a line that is either angled forward or backward. Positive caster refers to the forward angle. It stabilizes the car during high-speed movement. It even improves cornering ability. There is also a thing called cross-caster. It is actually a popular safety feature. When the driver loses his steering control, the cross-caster vehicle will head to the side of the road, not straight into traffic. Saving the most popular one for last, the camber angle is based on the wheel’s vertical alignment that is perpendicular to the surface. When it comes to popularity, negative camber takes the spotlight nowadays. Negative camber happens when the top of the tires tilt inwards, specifically towards the fender wells. 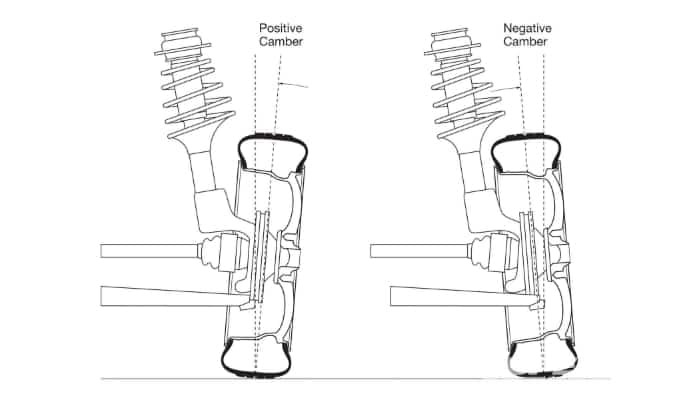 On the other hand, positive camber has the top parts tilting away from the automobile. Focusing on the negative camber, it is actually the most attractive angle to look at. Aside from aesthetics, it is perfect for high-speed drivers because it improves handling. With negative camber, the grip intensifies while the driver makes a sharp turn. However, when the vehicle moves straight, the negative camber reduces contact between the road and the tires. How Often Should You Get a Wheel Alignment? The recommended interval for wheel alignment is only two to three years. Although, it may become earlier than two years when you install new tires. It can even be a regular thing for sports cars or vehicles with wide tires. Lastly, it may become urgent when certain symptoms start to show. What Are the Signs for an Urgent Wheel Alignment? 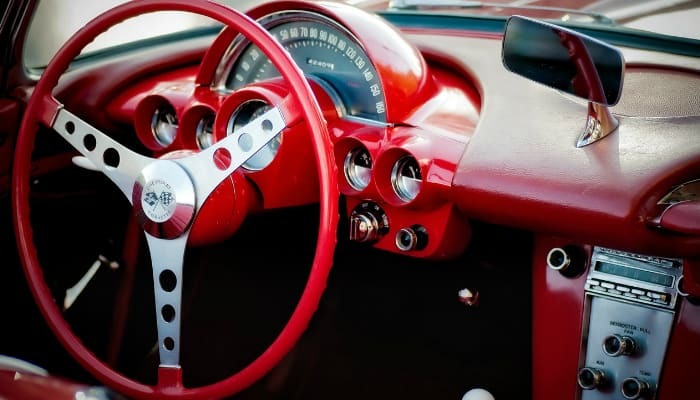 A steering wheel is perfectly functioning if it automatically goes back to the center after a turn. If it fails to do so, your wheel alignment is probably off. Even without turning the steering wheel, you can still spot issues related to your current wheel alignment. If the steering wheel does not sit straight right at the center, go to a repair shop pronto. You would surely notice just by looking at the logo emblem in the middle. Since we are talking about the steering wheel, you may learn more about this component. Find out why some steering wheels produce a clicking sound while turning the vehicle. Lastly, if you are unsatisfied about your steering wheel’s look and physical quality, do not hesitate to purchase a new cover. 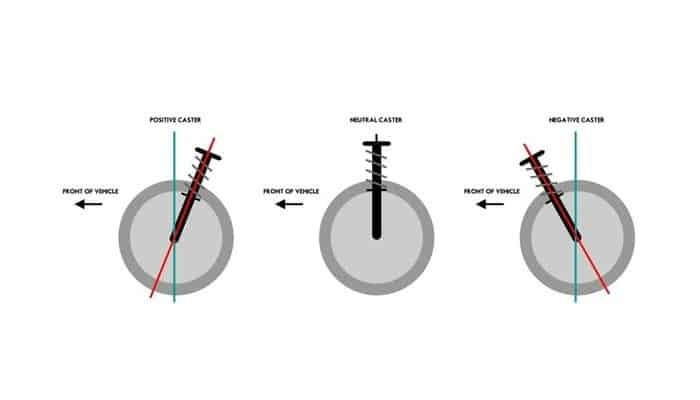 Once you notice that steering your car feels loose and unstable, start to consider the fact that your current wheel alignment has an ineffective angle. Unstable driving makes it hard for you to maintain one direction and turn around a corner. When your car starts to have a mind on its own, constantly pulling to one side despite your intention to drive straight ahead, you should immediately visit an auto repair shop. Experts can easily spot problems just by looking at the patterns of a worn-out tire. Aside from alignment issues, they can also identify suspension and tire pressure problems. If the camber angle is not perfect, the worn-out sections of the tires are only located on the inner or outer edges. Meanwhile, the angle problems show scalloping or feathering of the tires. For more knowledge about these essential components, find out how long tires usually last! Is DIY Wheel Alignment Possible? Definitely! However, do-it-yourself wheel alignment is more achievable for common issues only – especially the front-end part. Professional wheel alignment requires a lot of advanced tools, so DIY techniques are only limited to what you can simply do in your own garage and driveway. As part of your preparations, check if your tires are all properly inflated. Tire pressure is crucial to the success of your DIY angle adjustment since you will be dependent on measurements. Also, read your owner’s manual about the required numbers for the caster, camber, and toe. Lastly, inspect your car’s front-end suspension for loose and worn-out components. Suspension problems can affect your measurements. One example of a suspension issue is damaged struts or strut assemblies. To avoid the consequences of this problem, you have to know how long struts last so you can maintain them properly. Honestly, though, wheel alignment is extremely complicated if you do not have enough tools and knowledge about DIY auto work. It is still so much better to have a professional fix your wheels. To refresh your memory, how often should you get a wheel alignment? The standard is two to three years. However, there are several factors that disregard the recommended interval. Installation of new tires, usage of wide tires and alarming symptoms turn wheel alignment into a regular or urgent thing. Have you ever heard about wheels made of alloy? Proceed to learn how awesome alloy wheels are! 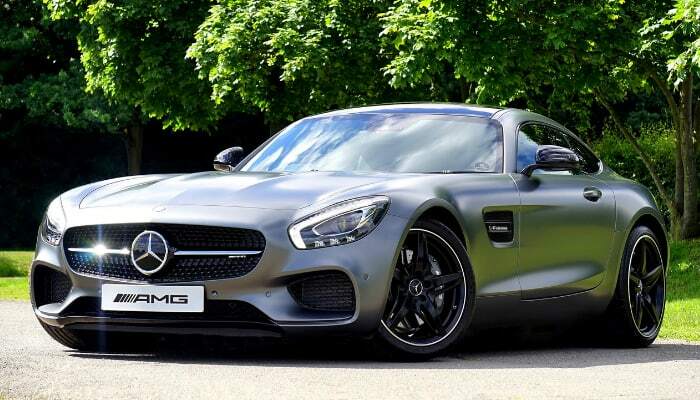 How To Sell A Car? Dealership Trade In Or Selling Privately?